Self-projection rears it’s ugly progressive ‘deplorable’ head. Hillary Clinton is best at it. Last night, Hillary Clinton identified 50 million Americans as deplorable. She wants to take their guns away. The Trump Deplorables far outnumber the Shillarys at campaign events. I’m with the deplorables! Why is the left so good at self-projection when discussing their opponents? 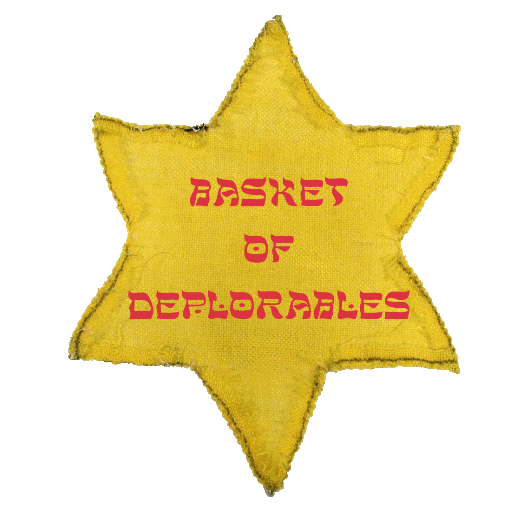 PEOPLE ARE FOCUSING ON THE “BASKET OF DEPLORABLES” LINE — which is an awful line because it’s simultaneously memorable without being evocative — but the worst part of Hillary’s speech was where she called opponents “irredeemable” and “not America.” That’s pretty much eliminationist rhetoric, right there. In a series of swing-state appearances this week, Mr. Clinton unleashed an impassioned self-defense, by turns sarcastic and almost pleading. Enough About Hillary’s Emails, Says Paper Owned By Clinton Foundation Donor. To paraphrase sage philosopher George Constanza, a Hillary divided against herself cannot stand! This entry was posted in comedy, media and tagged comedy, deplorable, ed morrissey, glenn reynolds, government, hillary clinton, media, politics, trump. Bookmark the permalink.